Do you squirm when you hear your recorded voice or see yourself on video? Have you ever considered the pitch of your voice when talking at the pace at which you speak, or even the level of animation that you use? Talking – How you sound forms an integral part of how people perceive you and judge you. Your voice is indicative of your personality. It can sooth or annoy, inspire or bore. It can suggest confidence or shyness, intelligence or dim wittedness. These habits often do not present the right image of who we are. By learning to lower the pitch and control the pace of speech you can add credibility and power to what you say. Walking – How you present yourself in terms of posture, eye contact and body language indicates your professionalism and confidence levels. Both of these add to your credibility, reliability and competency. 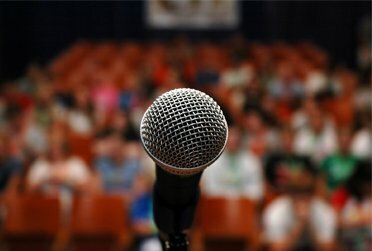 The art of public speaking or presenting to an audience with poise and confidence does not come naturally to most of us – we need to learn how to do it. Sweaty palms, beating heart and shaking knees are common among people who need to stand up and present themselves, their ideas or their products. In today’s competitive environment, presenting yourself effectively is one of your most important attributes. In order to do this you need to understand what is required of you and in your role in the workplace, socially or in the family circle. What are your relationships and how do you present yourself in them? Now when next given the opportunity to make an impression, what will you do with those vital 15 seconds?